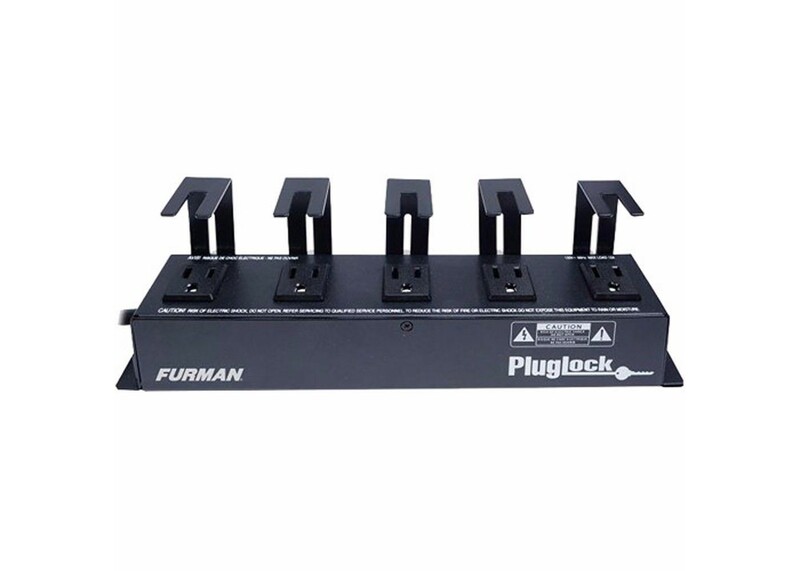 The PLUGLOCK circuit-breaker protected locking outlet strip provides enough wall wart spacing for five bulky transformers and can be safely mounted out of sight, in the rear of your rack. The PLUGLOCK circuit-breaker protected locking outlet strip provides enough wall wart spacing for five bulky transformers and can be safely mounted out of sight, in the rear of your rack. Secure clamping design "locks" your transformers and conventional plugs in place, ensuring you never get disconnected from your power source. Adjustable clamps accommodate transformers and plugs from 0.4" to 2.1" above outlet. The sturdy, all steel construction and heavy-duty 5 foot (14 AWG) three conductor cord provide ultimate durability and longevity.